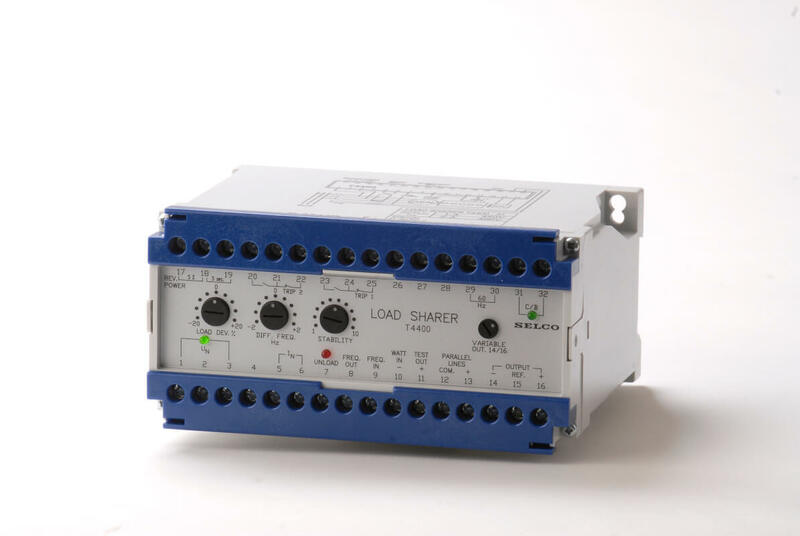 The T4400 Load Sharer provides automatic load sharing and frequency control for parallel running generators. The load sharing is proportional, meaning that the generators will be loaded equally compared to their individual capacity. The Load Sharer T4400 is designed to control a generator operating in parallel with the grid, or a generator operating in parallel with other generators (which are also controlled by T4400 units). The T4400 includes built-in frequency control and an optimized regulation scheme. These two features provide near perfect stability and compensates for any drift within the speed controller. A soft load/unload facility is also included.